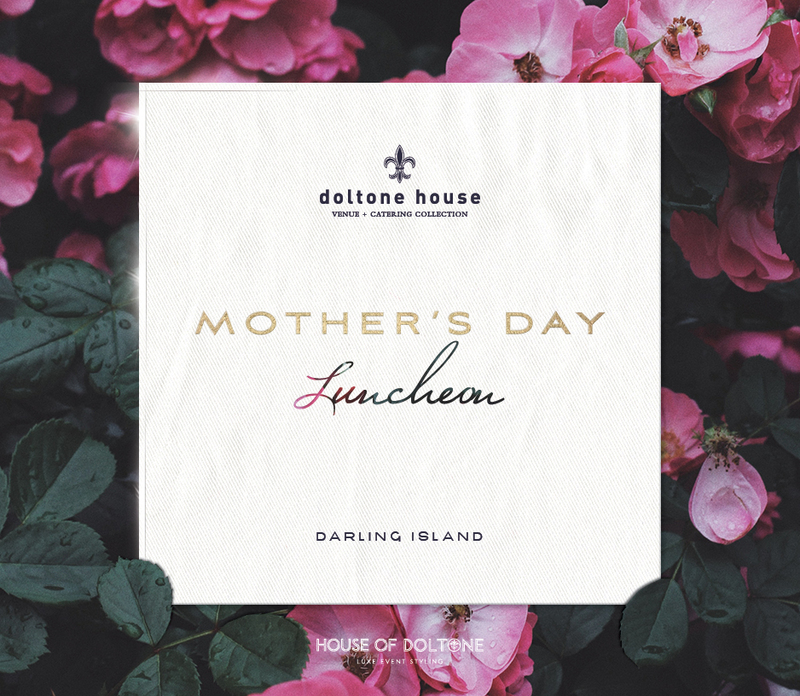 Lunch with Doltone and show your love and appreciation to the very special women in your life this Mother's Day. Please ensure you read these Terms & Conditions as your transaction will be subject to the following: No seats can be held or reserved. Full payment is required at the time of booking. Booking fees apply. All payments are non-refundable and non-transferrable under any circumstance. No preferential seating available. All seating is at the venue’s discretion. Individual tickets or group bookings of less than 10 will be subject to venue discretional seating allocations (these are strictly non-exclusive). Exclusive tables must be booked for a minimum of 10 (max 12 unless otherwise advised). Dietary requirements must be communicated in writing to Doltone House no less than 48 hours prior to the event, guest name and booking details essential. Parking not included in ticket price.